The Pentagon and White House relent and stop buying helos from Russia for Afghanistan, reports DoD Buzz. 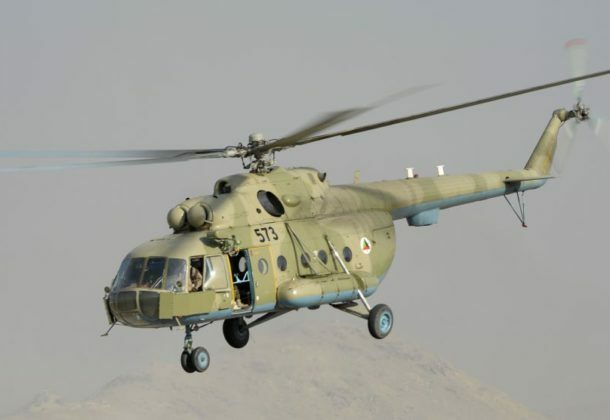 The purchases evaded economic sanctions on Russia with the Kremlin-run arms firm supplying Russian Mi-17 helicopters to the Afghan Air Force. The $11.6 billion supplemental defense budget request recently sent by the White House to Congress reportedly included $264 million for UH-60 Black Hawk helicopters, made by Sikorsky in Connecticut, rather than the Mi-17s. The Baltimore Sun reports Naval Surface Warfare Center bomb testers in Indian Head in Charles County, MD, are looking for new ways to blow things up. Tilt-rotor drones could be in production by 2023, reports Stars and Stripes. The Bell’s helicopter-airplane hybrid V-22 Osprey is familiar all over the world, but soon a smaller, unmanned V-247 Vigilant, could be flying as well. Negotiations drag on for a $7.2 billion award for 90 F-35s, but DoD goes ahead with a $1.3 billion award to Lockheed for continued production of the next batch of the Joint Strike Fighters, reports Aviation Week. Radar data from NASA’s Mars Reconnaissance Orbiter show a subsurface ice deposit about the size of Lake Superior, the largest of the US Great Lakes, reports Aviation Week. Preparing for a multi-generational, international fight against terrorists, The Daily Beast reports that US special operations chiefs are launching a new counterterrorist nerve center at an undisclosed location in the Middle East to fight the so-called Islamic State, al Qaeda, and any other terrorist actor. More space is needed to accommodate US agencies and foreign partners such as Britain, France, Iraq, and Jordan. Russian videos are being used as effective tools to market expertise in war fighting, reports the LA Times. Major international news networks have played the videos and they have served as examples of their capabilities. The same week Fidel Castro dies, the Cuban revolutionary who brought the Cold War to the US, according to The New York Times, the first commercial passenger flights in 55 years depart the US for Havana, reports Aviation Week. Both American Airlines and JetBlue Airways each launched scheduled service to Cuba’s capital. The New York Times reports the World Trade Organization ruled against Boeing, declaring a Washington state tax break to help Boeing develop its new 777X jetliner was a prohibited subsidy. The ruling was a setback for the aerospace giant as it seeks victory in a parallel case against its European rival, Airbus. Iran and Russia could derail oil-production deal as OPEC members engage in a last-minute diplomacy blitz, reports The Wall Street Journal. OPEC agreed to reduce global oversupply of oil but left the details of who cuts how much to today’s meeting in Vienna. Barry Rascovar blogs some advice to Gov. Hogan to work with Democrats to replace the Harry W. Nice Bridge, on Maryland Reporter.com. The columnist suggests the governor could open a compromise on paying for a new Potomac River crossing and open a channel for cooperation in the State House. San Francisco’s light rail was hacked over Thanksgiving weekend. Attackers encrypted files on just over 2,000 of the system’s 8,000 computers, reports The Hill. Ransomware hinders systems until an attacker is paid a ransom. Record number of car buyers are “upside down or underwater” on trade-ins, reports USA Today. Easy credit and longer auto loans has consumers trading in vehicles worth less than what they owe on their loans. Instead reducing the cost of a new vehicle, buyers add the difference between their loan balance and the old vehicle’s value to the price of the car they want to buy. G-W Management Services LLC, Rockville, Maryland, is being awarded $8,687,545 for firm-fixed-price task order 0009 under a previously awarded, multiple award construction contract (N40080-15-D-0451) for building modifications for the Joint Simulation Environment program at Naval Air Station Patuxent River. The work to be performed will modify the existing building systems in Building 2191 to support equipment installation. The contract also contains one unexercised option, which if exercised would increase cumulative contract value to $8,872,590. Work will be performed in Patuxent River, Maryland, and is expected to be completed by June 2017. Fiscal 2016 working capital funds (Navy) in the amount of $8,687,545 are obligated on this award and will expire at the end of the fiscal year. 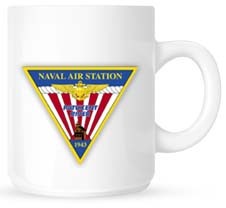 The Naval Facilities Engineering Command, Washington, Washington, District of Columbia, is the contracting activity. Melwood Horticultural Training Center Inc., Upper Marlboro, Maryland, is being awarded $7,483,369 for modification under a previously awarded firm-fixed-price, indefinite-delivery/indefinite-quantity contract (N40080-16-D-0303) to exercise the first option period for custodial services located at the US Naval Academy Complex. The work to be performed provides for custodial services such as trash removal, cleaning, vacuuming, floor cleaning and scrubbing, re-lamping, specialized cleaning of the John Paul Jones Crypt, and basketball floor installation and removal. After award of this option, the total cumulative contract value will be $16,591,719. Work will be performed at various installations in Annapolis, Maryland, is expected to be completed November 2017. Fiscal 2017 operations and maintenance (Navy) contract funds in the amount of $7,483,369 are obligated on this award and will expire at the end of the current fiscal year. The Naval Facilities Engineering Command, Washington, Public Works Department, Annapolis, Maryland, is the contracting activity. VSE, Alexandria, Virginia, was awarded a $21, 939,904 modification (P00003) to contract W911SA-16-C-0002 for logistics readiness support services at various locations in Arizona, Arkansas, California, Nevada, New Mexico, Oklahoma, and Texas for the 63rd Regional Support Command. Work will be performed in Mountain View, California, with an estimated completion date of Nov. 29, 2017. Fiscal 2017 other funds in the amount of $7,000,000 were obligated at the time of the award. Army Contracting Command, Fort McCoy, Wisconsin, is the contracting activity. National Academy of Sciences, Washington, District of Columbia, has been awarded a $9,846,206 firm-fixed-price delivery order with cost-reimbursable contract line items (0001) for support of Air Force Research Laboratory’s Post-Doctoral Research Fellowship Program. Contractor will provide postdoctoral and senior fellowship awards, on behalf of Air Force Research Laboratory, to carefully selected doctoral level scientists and engineers in national competitions. Work will be performed at Washington, District of Columbia, and is expected to be complete by Nov. 30, 2017. This award is the result of a sole-source acquisition. Fiscal 2017 research and development funds in the amount of $9,846,206 are being obligated at time of award. Air Force Office of Scientific Research, Arlington, Virginia, is the contracting activity (FA9550-17-D-0001).